One of the biggest benefits of making homemade trail mix is that you are in control of the ingredients. You can create a mix that contains your kid’s favorite foods. You can also make sure that the mix is not as high in calories as some packaged trail mixes are. 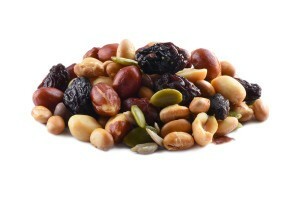 When preparing trail mix at home, you may be able to sneak in some new healthy snack foods. Introducing new items in small amounts can help your child acquire a taste for new fruits, nuts, seeds and other healthy trail mix ingredients. By preparing homemade trail mix, you can focus on the specific ingredients that you feel your kids need. If you need a nut-free trail mix, you can create a mix using seeds, berries, dried fruit and a colorful chocolate candy. If you want an antioxidant mix, you can create a recipe using peanuts, dried berries, almonds, pumpkin seeds and other items that are a good source of antioxidants. You can make a toddler mix using cereal, raisins and dried fruit that’s easy for little fingers to pick up. Preparing a batch of trail mix at home can be a learning experience for your kids. You can let them help you measure the ingredients. Trail mix doesn’t require precise measurements so a little error won’t adversely affect the outcome. As you add each ingredient, you can explain to your kids the health benefits of each item. Keep the description brief and age appropriate. You can also teach them about time management. A weekend or nighttime family activity could be preparing several trail mixes and packaging them to use as grab-and-go treats or lunch box additions for the upcoming week. You can teach organizational skills by having them label and appropriately store the trail mix bags. The variety of trail mix recipes and personally created combinations is endless. There are several ways you can entice kids to explore different flavor combinations. Making a trail mix that has some type of theme will generally capture the attention and interest of children. You can even let them help choose the trail mix theme for the week or day. The following are just a few ideas to help jump-start your creative thinking process. A tropical theme trail mix could include dried fruit and nuts that have a tropical flavor such as pineapple, mango, coconut and Macadamia nuts. You could include some fun activity that relates to a tropical vacation or let the kids decorate the bags with tropical theme stickers to make the activity more fun. Kids might enjoy a “berry crazy mix” that includes various types of berries. Add in a little chocolate for additional sweetness and you may have a new family favorite trail mix recipe. If family night involves a movie, don’t just settle for popcorn as a snack. Make a popcorn trail mix that includes popcorn, sunflower seeds, dried fruit and some type of seasoning that your kids would like. The combination of items you include in a homemade trail mix can vary extensively. 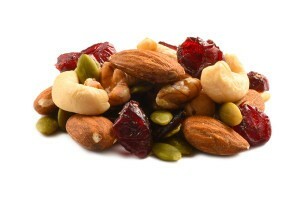 However, the basic categories of trail mix ingredients are nuts, grains, dried fruit, seeds and candy. Almonds and peanuts are among the more popular nuts to include in a kid’s trail mix. Pumpkin seeds and sunflower seeds are popular additions. Grains include whole wheat cereal, granola and popcorn. 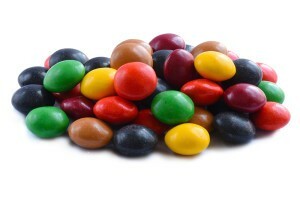 Sweet treats that kids like in their trail mix include chocolate candy, chocolate covered raisins, chocolate covered pretzels and yogurt covered fruits and nuts. With the extensive variety of dried fruits available, you can diversify your homemade trail mix in so many ways that this healthy snack will never become boring. 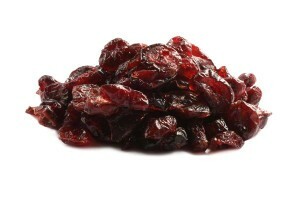 You might be very surprised at how many different dried fruit and berries your child finds appealing.